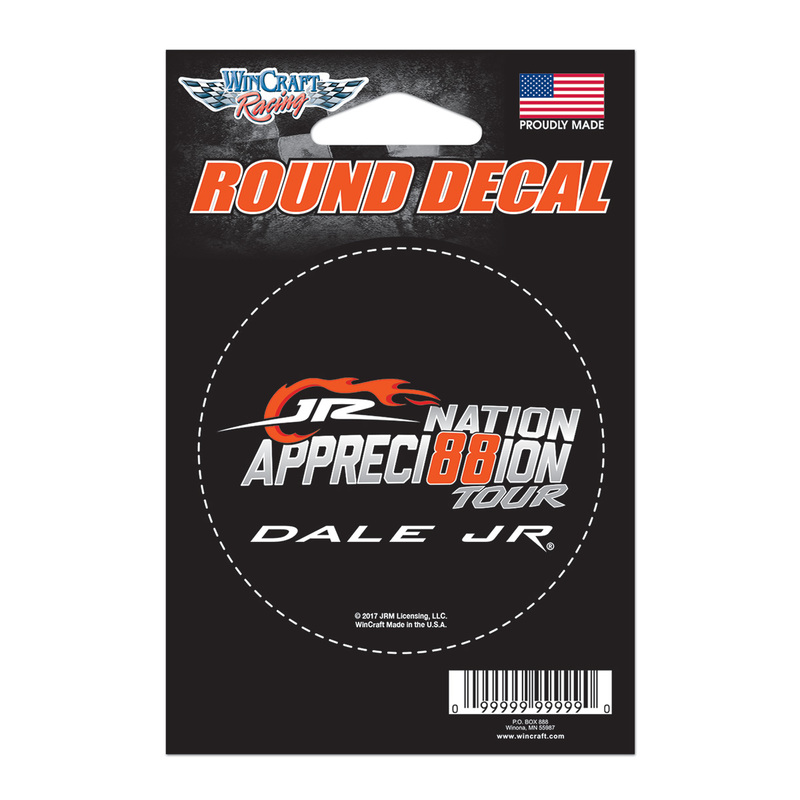 JR Nation Appreci88ion Round Decal! Features the official logo. 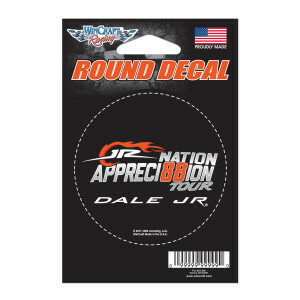 I am very pleased with my Dale jr stuff !!! I have a lot of his dying cast and shirts hoping to get more sometime soon thanks again for getting in out so quick keep up the good work !! !